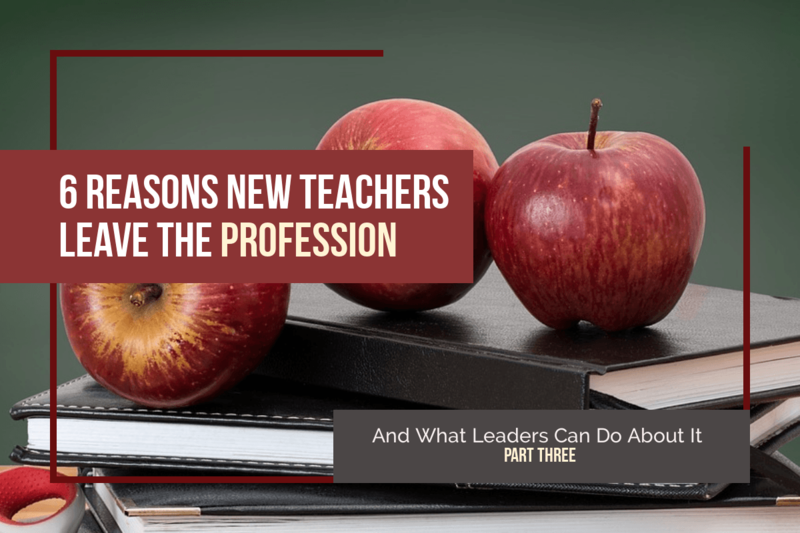 So far in this years, we’ve seen the very real problems that new teachers face—but we’ve also seen that there’s a lot that effective school leaders can do to off-set those problems. Let’s recap so far: previously, we’ve explored Difficult Work Assignments, Unclear Expectations, Inadequate Resources, and Isolation. We’ve seen that the assignment of strong mentors to teachers, of assigning classes and classrooms based on factors other than seniority, and of protecting valuable teaching resources for incoming teachers can all help reduce the stress levels that new teachers face—and thereby create environments that are more conducive to retaining quality teachers. Unfortunately, school leaders can’t control everything that might be stressful about a new teacher’s experience. For the fifth environmental difficulty referenced in Gordon and Maxey’s book, How to Help Beginning Teachers to Succeed, they explore Role Conflict. So, what can school leaders do about this? Obviously, forbidding marriage or other major life changes is off the table. Meanwhile, many new teachers feel guilty that they’re not spending enough time either on their home life or their work as they’re pulled in those two disparate directions—and from experience, we know that it can take a litlte while to find that home-life balance. The time it takes to learn how to teach efficiently—without bringing piles of work home or staying at school until the evening hours—is sometimes longer than the short careers of burnt out novice teachers. So while you can’t get involved in the personal lives of teachers, school leaders can at least help reduce the professional stress levels of novice teachers as much as is practical using some of the approaches we’ve already explored. Assigning fewer extracurricular duties, providing mentors, and not giving a beginning teacher the most challenging classes can all help mitigate the effects. The final environmental difficulty that Gordon and Maxey reveal is called Reality Shock, which refers to the clash between the idealized vision new teachers had for themselves prior to becoming employed and the realities they face in their first classrooms. This disconnect is especially magnified if teachers’ own youthful educational experiences are not representative of those of the students they find in their classrooms—or if teachers’ preparatory program did not adequately prepare them for the challenges they could face. Student engagement, student interest, student adherence to rules and procedures, parental support . . . all these and more can contrast highly with a new teacher’s idyllic expectations, thereby introducing another stressor into the environment. Again, however, all hope is not lost! We can help teachers create their dream classroom through observations and positive, helpful feedback that gets to the heart of teaching and learning. For instance, our student engagement forms in eObservations specifically break down some of the most successful strategies to motivate students and help them learn. By using those with new teachers, we can help pinpoint ways to increase students’ love of learning and academic success, one small step at a time. In other words, by working as partners with our new teachers—by knowing and acknowledging the stress they face on a daily basis, and by actively working to ensure they have the resources, knowledge, and support they need—we can ensure that both our new teachers and their students thrive.